Falcons improve to 2-1 season with an away win. 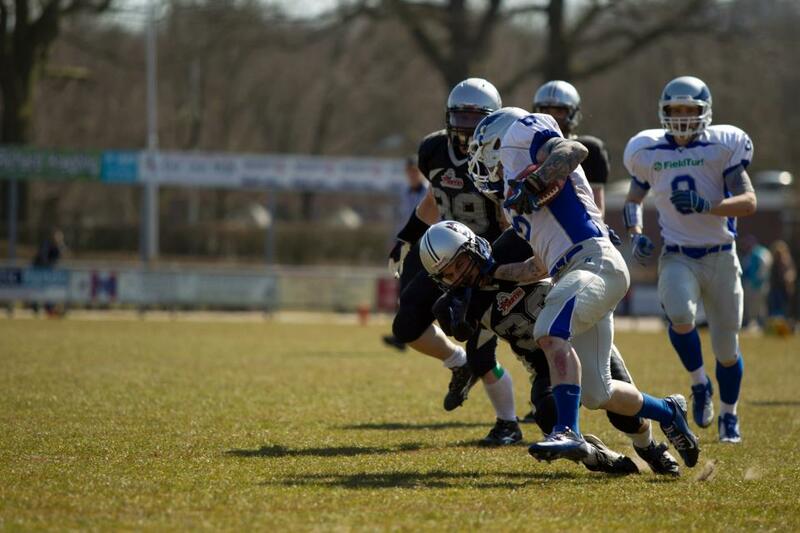 The Arnhem Falcons senior team won its third game of the season in and against Nijmegen. The Pirates were sent home with a 19-7 defeat. 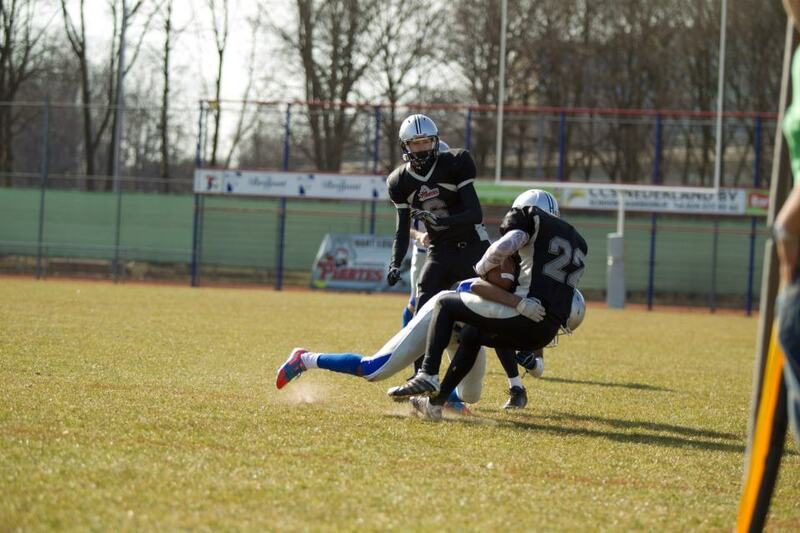 The Arnhem offense again scored on the opening drive, albeit only a fieldgoal. Jordin Kemperman put the first points on the board by nailing a 33 yarder (0-3). The Falcons defense then proved that they are continuously improving by pushing the Pirates offense back, forcing a three and out. On the second offensive drive, the bane of the season so far once again showed up: unnecessary penalties. This eventually lead to a punt. The Pirates were pinned within their own 20 yard line, but a breakdown in the Arnhem defense allowed the Pirates runingback to break loose for an 80 yard run, only to be brought down on the three yard line by a shoestring tackle by Falcons CB Tim van Mal. It took the Nijmegen offense another four downs to finally punch in the ball with a sweep to the right sideline. The PAT was good (7-3). In the second quarter the Falcons offense continued making mental mistakes, giving up many yards to penalties. This squandered some excellent field positions the defense provided. Eventually the offense managed to put a stable drive together allowing Joost Holtslag to score his first touchdown of the day (his third of the season). Jordin Kemperman again provided the extra point (7-10). Before the first half was over the defense finally managed to prove their dominance by sacking the Pirates QB in his own endzone for a safety (7-12). In the third quarter, the same sloppy play by the Falcons continued, alternating excellent plays which gave long gains with unnecessary penalties oftentimes negating these plays. Sad low light in this respect was a punt return for a touchdown by Joost Holtslag which was disallowed for an "illegal block in the back" penalty. During the fourth quarter the team finally pulled together and the offense started a long, 9 minute drive across the length of the field which was capped off by Joost Holtslag's second TD of the day. Once again Jordin Kemperman was accurate from the PAT spot to determine the final score at 7-19 in the Falcons favor. In their third straight game the Falcons racked up more than 100 yards worth of penalties, Sundays total being closer to 200 yards. From the second quarter the Falcons abandoned the passing game, going with a majority of power-I running formations.